Styled with suzette knit top and margaux blazer . 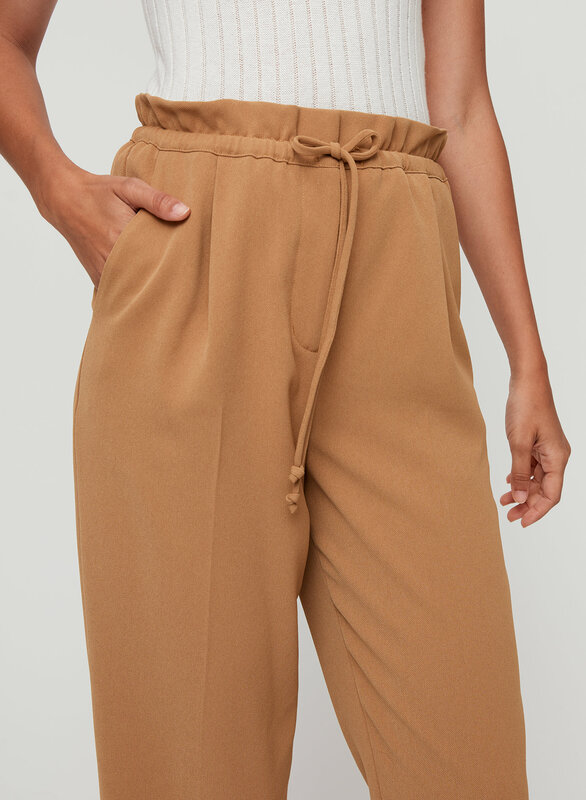 These ankle-length pants have a paperbag waist with a self-tie drawcord. They're made from textured Japanese fabric with a beautiful drape. The style is super cute but sizing ran slightly large especially in the waist. 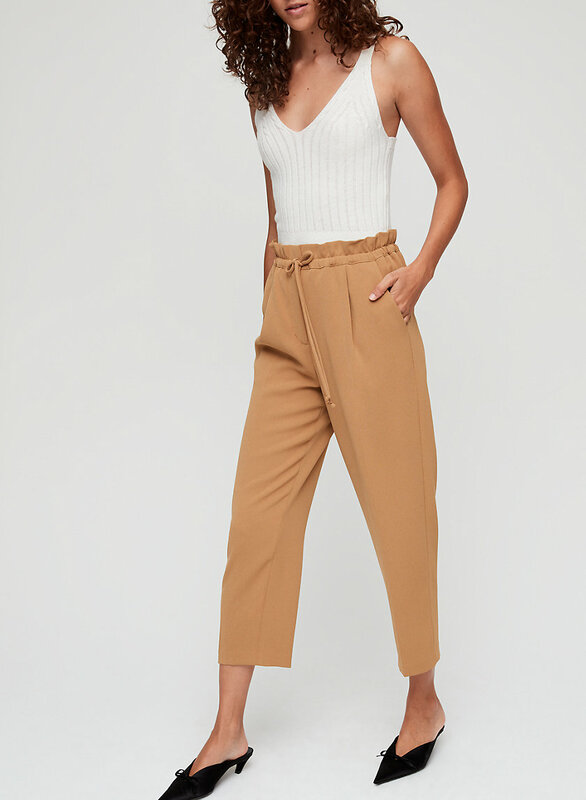 These pants look good with any shirt - right or loose tucked in. I will purchase in other colours. They are so comfortable and you can dress them up or down. win win. These are very overpriced. If they were $30 I may have kept them, but I didn't love them enough to justify the price tag. Great fit and super comfy! 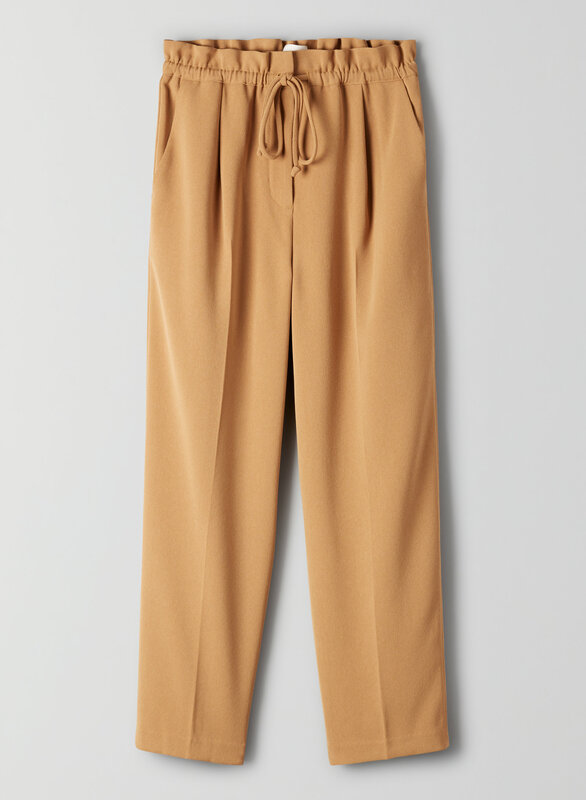 Purchased these in black and absolutely love them! They are high-waisted and fit me perfectly. I've gotten so many compliments on these and hope they come out in more colours. I love how it fits and high waist is really flattering! It is also very comfortable.